Well, the Stoker Award final ballot was released today, and I wasn’t quite prepared for the shock of one category. Just… wow.Â Can I say, ‘Wow?’Â It’s an honor.Â I’ve hoped for an official Stoker nomination for years, but never did I dream it would comeÂ in the short fictionÂ category.Â That’s where the real competition usually sets up camp.Â I think about the folks who’ve won that award or have been nominated, and I can’t help but feel a little overwhelmed. The rest of the nominees are below.Â I just want to take a second to say congratulations to everybody.Â You all deserve it! I don’t want to give too much away, because the closest I have to a release date on this sucker is “Before World Horror in April,” but there’s a fun synergy that I wanted to share. 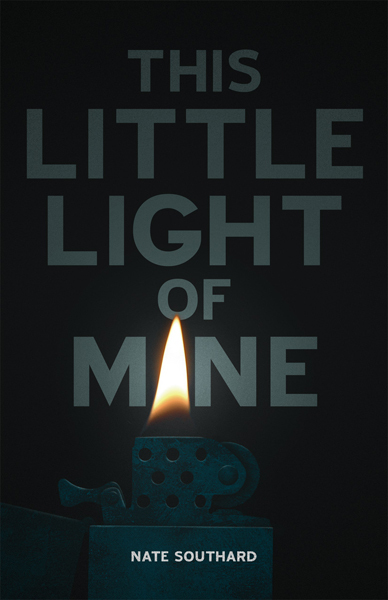 On my birthday last year,Â shared the Burning Effigy Press had purchased my novella This Little Light of Mine. Well, this year, I want to celebrate my birthday by sharing the cover, which is my favorite so far. Due to some cancelled reservations, Paul at Thunderstorm has a few copies of Red Sky available.Â I honestly have no idea how many he has in stock.Â Later this week, he’ll have a buy button set up on the Thunderstorm Books website.Â If you’d rather get a jump on things, shoot him an email at info@thunderstormbooks.com and he can send you an invoice. Red Sky costs $60 + $5 shipping. More than a year late, I finally read Stephen King’s Under the Dome.Â It shouldn’t be that surprising, because I’m always behind in my reading.Â There are only a handful of writers (Gillian Flynn, Sarah Langan, Paul Tremblay, Norman Partridge, Brian Keene) that I’ll read almost immediately.Â Everybody else has to wait until my mood is right. Well, I wish I hadn’t waited, because Under the Dome quickly became one of my favorite King works (Fun Note: I originally spelled the title as Under the Dame, which I’m sure is a very different book). For those who might also be behind on their reading, Under the Dome is about the small town of Chester’s Mill, Maine and how, shortly before election time in 2012, a dome drops over the entire town, trapping the residents inside.Â It’s a simple-yet-brilliant set up, and what happens to Chester’s Mill’s citizens over the space of the next week is nothing short of horrific.Â King digs the knife in deep and twists it mercilessly.Â Really, he’s just as good as he’s always been. What sets this novel apart for me, however, is the villain.Â Big Jim Rennie, the town’s second selectman (what the hell is a selectman, anyway? ), isn’t the supernatural force of nature that Randall Flagg or Pennywise the Clown is.Â In truth, he’s something much worse: crooked, human, self-righteous, and convinced above all things that he’s right.Â There were more than a few chapters in Under the Dome that had me shaking with anger.Â That’s good writing.Â The only other writing passage to get such a visceral reaction from me was the end of Gillian Flynn’s Sharp Objects. So, for those of you who thought the King is dead, you’re wrong.Â Go pick up Under the Dome.Â Long live the King! Posted in Fiction, Read This!